Planning your wedding day can be quite a daunting task. It is easy to get overwhelmed with all the things that you have to be thinking about. In your wedding reception, you will have to think about the food that your wedding caterers will be serving to your guests and how to set the venue. One of the most important things that you will have to consider will be your budget. Many people would always try to have the best wedding they can while staying within a certain budget. If you are struggling to plan your wedding reception and catering around a budget, you are not alone. To help you out, here are tips that you can follow so as to stay within an affordable range with your wedding catering. Moderate the drinks – Unless you plan on having a fully stocked open bar, moderating the drinks is a great way to cut the costs. You may want to skip serving the hard stuff and just serve some beer, wine, and some champagne. Limit to serving two or three courses – After going through the hors d’oeuvres, serving a three course meal may prove to be a little much for your wedding guests. Note that people don’t even order that much food when eating out. So when discussing the courses with your wedding caterer, consider limiting them. Limit your hors d’oeuvres – Wedding caterers may offer you many appetizers to serve during your wedding but this can make the costs go up. So when planning the prepared appetizers to be offered during cocktail hour, consider serving a maximum of just three. Forgo the passed appetizers – Having a waiter pass around appetizers isn’t something you really need. Other than saving on preparation and costs, guests don’t really want to wait for a waiter to come by serving appetizers. Stay with the basics – There are a number of items on the menu that can easily jack up the costs. Consider forgoing the options that are expensive such as lobster, caviar, filet mignon, truffles, etc. If you want to serve these, consider doing so sparingly and in your appetizers. Go easy on the choices – Having complicated dishes can cost time to prepare and thus bringing up your bill. Consider going for dishes that are simple but just as delicious. You do not really need to provide a long list of dinner option to serve your wedding guests. Serve your own wine – There are wedding caterers that allow you to not go for the wine that they serve. If you can find a supplier who can provide you with wine and spirits go for it; and having one with as buyback policy where they buy back unopened bottles is a big plus. Pick ingredients that are local and in season – When it comes to the food that you serve, the ingredients are very important. Consider choosing dishes that have ingredients that can be sourced locally and are in season making meals more delicious and less expensive. How Can Restorative Yoga Help You? With the current popularization of intensive yoga workouts such as hot yoga and hot power yoga, the concept of yoga has become somewhat akin to a cardio exercise. While the idea is lucrative for those who want to burn the most calories, it draws away those individuals who cannot go through extensive workouts that come with their fair share of stress. And for such people, the option of less strenuous workouts in the form of restorative yoga may just be the very thing that they are looking for. Restorative yoga refers to a form of yoga where your movements are more passive than active. This is completely in contrast to more intensive forms such as hot power yoga. The asanas (poses) that are practiced in restorative yoga are almost all supported by props in order to provide a relaxing workout session to those who cannot go through a more intensive one due to health or personal preferences getting in the way. The purpose of restorative yoga is to make your body relax, let your muscles be opened to the end result of being soothed, and for your mind to feel just as stress-free as your body does. What Should You Keep in Mind While Practicing Restorative Yoga? Asanas in restorative yoga are all focused on making your body relax through minimal movements. Thus, the asanas are all focus on passive movements that depend on supportive structures. For instance, the viparita arani or legs up the wall asana that was originally used in hatha yoga is now used regularly in restorative yoga to allow your body to feel more relaxed. The simple pose stretches your torso, the back of your neck and your legs without being too strenuous. The support to the wall keeps your body from feeling the strain. On the other hand, such an asana where your legs are stretched would come with significant strain in other forms such as hot yoga. Another pose that would help you understand the function of restorative yoga is the supta virasana or the reclining hero pose, in which you lay back against a large cushion and rest your head on a smaller cushion on top of it, with your legs bent upwards and your hands to the side. The position is comfortable yet stretches your body quite easily. Each asana in restorative yoga could range from 5 minutes to 20 minutes. It depends upon the level of comfort and the relaxation of your body. Restorative yoga can be a powerful force as long as you know how to use it to your advantage. Therefore, before you start practicing restorative yoga, make sure to discuss it with a Lakewood yoga professional that the citizens have come to trust due to their abilities and experience. The beauty of automotive vehicles lies in their extended use. No matter how old your car is, if you have kept it maintained and well taken care of throughout its years, then it would have the ability to look as good as new even after decades of use. However, the action of ensuring that your car actually remains in factory condition does not come easy. You need to ensure that you are taking care of your car’s regular maintenance, and that any fixes such as dent repair requirements are fulfilled right away. With that, you also need to make sure that out of an abundance of procedures to solve one problem of your car, you select the one that is most optimal and which ensures to keep the factory-maintained status of your car intact. For instance, when it comes to taking care of your car in terms of hail damage repair after a particularly bad hailstorm, you need to make sure that the dent repair services you are looking into would restore your car to its exact state before the storm without making it look like it has gone through a number of paint jobs in different places. Paintless dent repair, also known as PDR, makes this possible and ensures that your car gets rid of any dents without looking as though it went through a blast of paint. What is Paintless Dent Repair and How Does It Work? As the name suggests, paintless dent repair refers to the procedure where small and medium-sized dents are removed without the usage of additional paint coming into play. This ensures that your car’s outer look remains intact with its factory finish, with no new coat of paint disrupting the shade or sheen of the original coating from the manufacturer. This process is possible through special PDR equipment such as PDR lights, rods and other tools that let skilled autoworkers “massage” the dents out of your car, making it return to its factory state. The way that these dents are removed ensures that the paintjob of your original finishing does not get affected, chipped or removed in any manner, which in turn means that the whole process gets completed without the usage of any additional paint. The way that these dents are removed is fascinating to watch, while at the same time being efficient to sustain the exterior body of your car once the dent repair process has been completed. After the procedure to take care of the dents in your car has been completed, you can have additional protective measures applied to it to ensure that your car maintains its looks for years to come. Services such as paint protection film (PPF) or clear bra coating could help you in ensuring that your car stays safe from any future damages from small-scale contacts such as bug splatters, hail damage, or even small abrasions. This clear bra coating goes on top of your car’s body while being essentially invisible, which makes sure that your car stays safe from future small damages without having its factory finish being affected in any manner. If you are in Colorado, then you can utilize these exceptional services through Auto Image 360. As part of its Parker PDR services, the reconditioning specialist makes sure that you are getting some of the best services that the PDR segment has to offer. Unlike other providers, Auto Image 360 vows to provide its customers with same day PDR, dent repair, as well as clear bra installation services, which means that you can have your car back within business hours after driving it to Auto Image 360. Thus, if you are in need of dent repair or any sort of automotive reconditioning services, then don’t hesitate from giving Auto Image 360 a call today! People’s taste in jewelry changes over the decades, but their love for diamond jewelry is a constant. You don’t have to look any further than automobiles to see how consumers’ tastes change over the decades. The types of cars that were stylish and cool in the 1950s simply wouldn’t be very popular today, and certainly the normal cars that the average person bought wouldn’t be. The next time you get a second Google how cars looked in the ’50s, ’60s, ’70s, ’80s, and ’90s, and then compare them to the cars that are on the road today. You’ll likely see some major differences, and that’s pretty common with just about any consumer product. The ways the products are made change over time. Some of it has to do with car manufacturers making updates or changing the way cars are made to reduce their cost, but a lot of it has to do with how consumers’ tastes change. If you need further proof of this phenomenon, just take a look at what your parents were wearing in the ’70s or what your grandparents were wearing in the ’40s. Those clothing styles certainly wouldn’t fly today, and that’s because consumers’ taste in clothing has changed as well. As with most consumer goods, people’s taste in jewelry changes over the decades as well. What was popular in the 1930s and ’40s simply isn’t that popular today. Sure, some people might like to wear some of their grandparents’ jewelry because they think it looks nice and often it’s quite valuable, but they wouldn’t buy jewelry like that in a store. Instead, they would opt for something more modern. Just think about how well some of the cheaper jewelry lines do in today’s world and you’ll see a prime example of how jewelry taste changes over time. Now, people’s taste in jewelry might change over the years, but one thing that remains a constant is their love for diamond jewelry. Think of diamond jewelry like a classic Mustang car, something that no matter how tastes change over the years, people still love it. It doesn’t matter how tastes change when it comes to diamond jewelry, because people are always going to love it. They love the way it looks, they love the way it shines, they love how it’s been around for centuries, they love how they can get diamonds on rings, necklaces and bracelets, and they love how classic it is. There’s just something about diamond jewelry that appeals to a wide range of people. That’s good news for Baton Rouge diamonds stores like Cut Fine Jewelers. There might be a slight change in how many pieces of diamond jewelry they sell year over year, but overall their diamond sales remain fairly steady. That’s because diamonds are one of those rare things that span generations. They don’t go out of style, and because they’ve been around for so long, they have a rich tradition that people like to take part in. So the next time you’re thinking about purchasing some jewelry, stop by a jeweler like Cut Fine Jewelers and take a look at their diamond jewelry. You’ll be happy you did. Why you should only go to gyms that offer gym management software. Even if you live in a moderately-sized city, you’ve got a lot of options when it comes to choosing a gym. There are recreation centers, various private gyms, and even niche gyms that specialize in a certain type of working out. In a city like San Francisco for example, there are hundreds and hundreds of different gyms, health clubs, and fitness centers for people to choose from. The trick to finding the right gym is deciding what kind of workout you want to get, how much you’re willing to pay, how much you care about the atmosphere, and how crowded is too crowded. Certain gyms are more popular than others which means more crowds, while others are smaller and more niche but also more expensive. These are the kinds of questions you should be asking yourself when you’re trying to pick a gym to become a member at. One of the things you should be thinking about but that you’re probably not is whether or not the gym has gym management software. If you’re anything like most people, you’ve probably never even heard of “gym management software”. This type of software is essentially an application that members of the gym download onto their phone, and then the gym itself puts various information into the app. Gyms might put in what type of classes they’re offering, when they’re going to be offered, who’s going to be the instructor, and how much room they have in them. Or, they might put information into the app that shows how busy the gym is in real-time, or what type of equipment is currently available. Some gyms have gymnasiums in them, so they’ll put the schedule for the gym on the app as well. Still other gyms will show when the rock climbing wall can be used, how you can sign up to use a personal trainer and how much that costs, when your monthly membership payment is due, how often you’ve visited the gym, and so much more. Now, why is it a smart idea to only become a member at a gym that has such software? 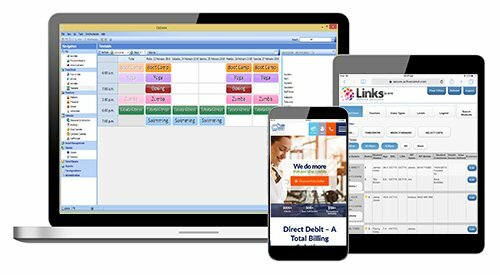 Well, this health club software is not only a plus for the gym because it helps them reduce questions and streamlines their operation, but it’s a plus for their members because they have access to all kinds of information about the gym no matter where they are. They can sign up for classes through the app to guarantee they get a spot, they can see how busy the gym is at a certain time so that they can go later and avoid the crowds, and they can even set up an appointment to meet with a personal trainer to talk about their workout regimen. When you choose a gym that has gym management software like that offered by TSG, you’re choosing a gym that’s going to be easy to use. You’ll be able to see everything they have to offer, and you’ll be able to easily take advantage of the classes, workout equipment, and services that the gym provides. When you’re choosing new floors for your home, both hardwood and laminate show up as popular options. 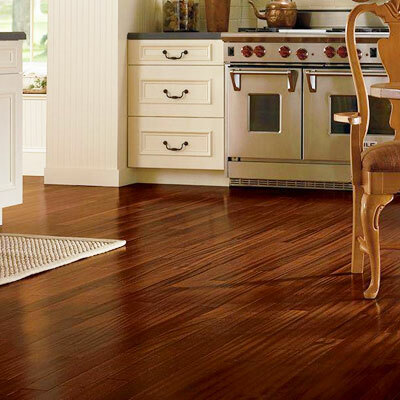 In fact, hardwood flooring is right for some people and in some situations, and laminate is right for others. You are trying to figure out if hardwood or laminate flooring is best for you and your family, here are some of the things you need to think about. Laminate flooring tends to be less expensive than hardwood. This is because hardwood flooring involves cutting down, transporting, and processing actual trees. In fact, if you want exotic hardwood floors, they will be even more expensive. Laminate flooring is also cheaper to install. The process is easier and does not take as much expertise. Laminate flooring is also more durable than hardwood. Hardwoods tend to be susceptible to scratches. They can also be damaged by moisture, and heavy traffic areas will show certain amounts of wear. The amount of damage and wear that your floor shows will depend on the type of wood it is made out of and how soft that wood is. Because laminate floors are made from pressed wood, it’s more durable and scratch-resistant, and it can also withstand more moisture and wear and tear. It’s also easier to clean. You don’t need any special products to clean a laminate floor. In fact, you don’t need any special equipment at all. In order to keep hardwood floors looking nice, you may want to use a special cleaner designed for wood. This can help limit the water damage to your floors. However, laminate flooring does not look as good as hardwood flooring. In fact, low-quality laminate might look very fake. Why manufacturers always try to say that it looks just like hardwood, the truth is that most people, not just experts, can tell the difference between hardwood floors and laminate ones if they just take the time to look at them. Hardwood floors are also easier to repair them laminate floors are. With hardwood floors, you can simply sand out damages and have them refinished. While this can be an extensive and expensive process, the truth is that it’s easier than repairing laminate floors. Sometimes, you can snap out a laminate board and replace it with a new one. However, wear and sun exposure may mean that the new board no longer matches. You will need to decide based on your own wants and needs which type of flooring will work best in your house. For some families and homes, hardwood flooring is the best choice. For others, especially those with small children and animals, laminate flooring is a better option. Some people even choose to install laminate flooring when their children are young and upgrade it to hardwood later when it’s less likely to sustain as much damage. At Niles Floors and Blinds, we sell both hardwood flooring and laminate flooring. We would be happy to help you walk through the process of choosing a new flooring for your home. Our experts will help ensure you choose a floor that you’ll be happy with for many years. There are some signs to watch out for when you think you have a brain tumor. There are many different types of brain tumors, some are cancerous and some are just benign. There are many different signs that you should look for if you think you have a brain tumor. It all depends on each person and where the tumor is growing and how fast it’s growing. If you have any of these signs you should contact your doctor about possible brain treatment options. One thing to look for is severe headaches that you haven’t experienced before. If they are new or worsening dramatically you should speak to your doctor. If you are who has had regular headaches in the past but the frequency is changing or they seem different, this could be a sign you have a brain tumor and need brain treatment. Another sign to look for is nausea. A lot of people experience nausea but if there is no reason for it and you can’t figure out why you may be experiencing random vomiting, it may be a good idea to check in with your doctor. If you are experiencing abnormal vision problems, this may be a good reason to speak to your doctor. If you ever have blurred vision or double vision this may be a sign of a brain tumor. Another thing to look out for is if you experience loss of your peripheral vision, it would be good to check in with your doctor to get this checked out. If you ever have any difficulty with balance or problems with your speech, this could be a sign you have a brain tumor. You should definitely talk with your doctor right away. If you ever get confused in your daily activities and you haven’t experienced it before, its best to check in with your doctor. Has anyone close to you in your family or any of your friends mentioned they notice a personality change in you? Instead of taking it personally, maybe check with your doctor because you may have a brain tumor. Have you recently experienced a seizure for the first time in your life? This could be a sign you have a brain tumor. If you are someone who frequently experiences seizures throughout your life it doesn’t necessarily mean you have a brain tumor, but it’s good to keep track of the severity and frequency of them. If anything seems abnormal, contact your doctor right away. Are you having trouble hearing what people are saying to you? Or do you notice you have to turn the television up louder than normal? Hearing problems could indicate you have a brain tumor. Make an appointment with your doctor right away. And finally, have you recently noticed you’re losing sensation in one of your arms or legs? This is another sign that you could have a brain tumor. Or are you losing movement in one of your arms or legs? Again, this could be a sign you have a brain tumor. There are many more signs that may indicate you have a brain tumor and need brain treatment. And even if you are experiencing any of the above symptoms, that does not necessarily mean you have a tumor. The best thing you can do is contact your physician if you have any questions or concerns.